Physical Education is a core component of the primary school curriculum. The primary years are perhaps the most significant period for motor development in children, a time during which basic movement competencies are developed and which offers the first opportunity for embedding physical activity as part of a healthy lifestyle. 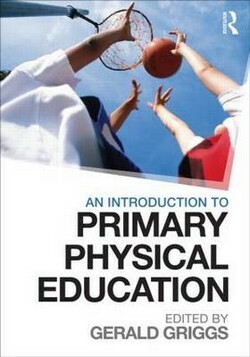 This is the first comprehensive introduction to the teaching of PE in the primary school to be written exclusively by primary PE specialists, with primary school teaching experience. The book highlights the importance of PE in the primary curriculum and the key issues facing primary teachers today, such as inclusion, training needs and the development of creativity. Central to the book are core chapters that examine each functional area common to many primary PE syllabi - including games, dance, gymnastics, athletics and outdoor learning - and give clear, practical guidance on how to teach each topic. Rooted throughout in sound theory and the latest evidence and research, this book is essential reading for all students, trainee teachers and qualified teachers looking to understand and develop their professional practice in primary Physical Education.